View, browse and sort the ever-growing list of sessions by pass type and track. Filter by pass type to see which sessions your pass makes you eligible to attend. Our ContentTECH Summit Mobile app is launched so you will be able to build your schedule there with just a click of a button. While choosing breakout sessions is not required, it helps us with room planning. And seating is first-come, first-served, so it is a good idea to plan out your schedule ahead of time. Please note that session dates and times are subject to change. Jason Brigham, CEO, Internet Marketing Inc.
Jason Brigham is CEO at IMI, a full-funnel digital agency with offices in San Diego, CA and Las Vegas, NV. With over a decade of agency experience working with B2B and B2C international and domestic brands, he believes in an educational and consultative approach to helping organizations understand their strengths, weakness, and opportunities within digital marketing. 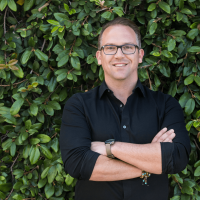 During a successful tenure at two prior agencies, Jason directed all sales and business development efforts, specifically targeting executives of large healthcare, retail, and consumer brands with revenues exceeding $500 million during which time he averaged 75% growth in agency revenues year over year.